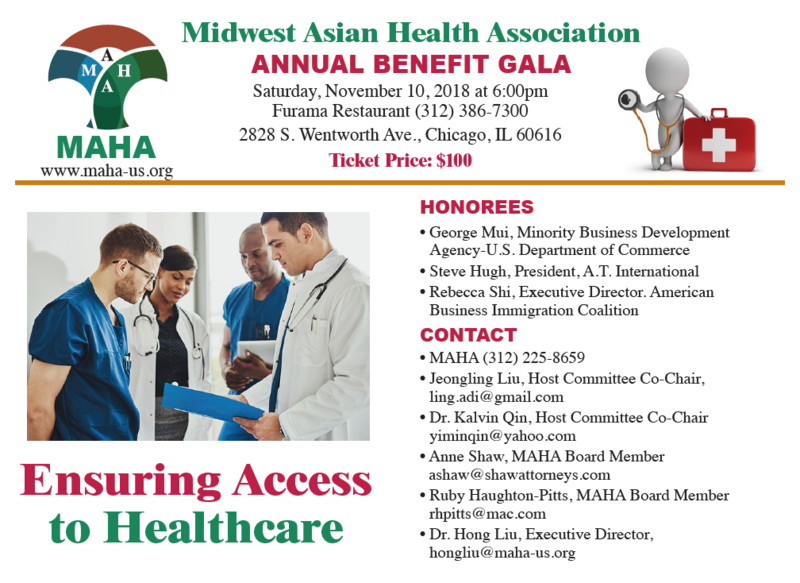 The Midwest Asian Health Association (MAHA) is pleased to invite you to our annual benefit gala to be held at Furama Restaurant (2828 S. Wentworth Ave, 3/F, Chicago, IL 60616) on Saturday, November 10, 2018 from 6:00-8:30pm. Our theme is “Ensuring Access to Health Care”. 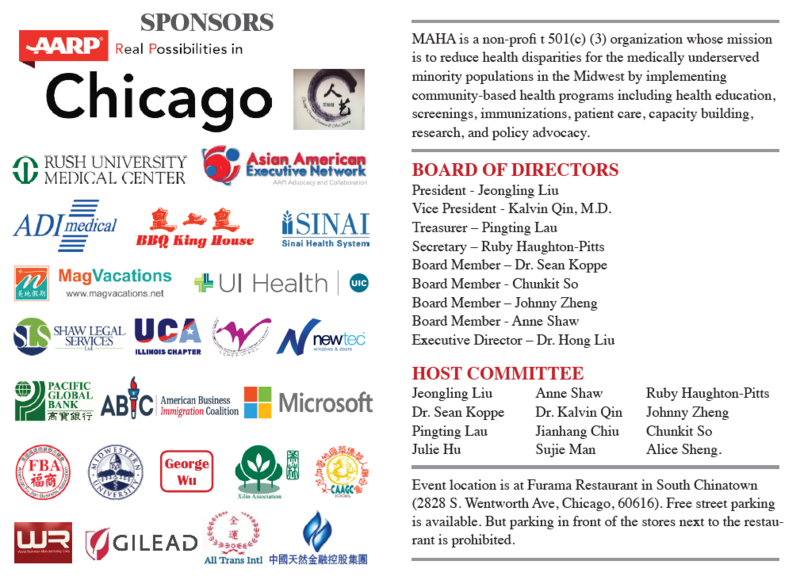 Funds raised from this event will help MAHA sustain the Navigator Program that has assisted thousands of medically underserved populations with access to health care. Without MAHA’s services those individuals will have difficulties gaining quality health care due to language and cultural barriers. 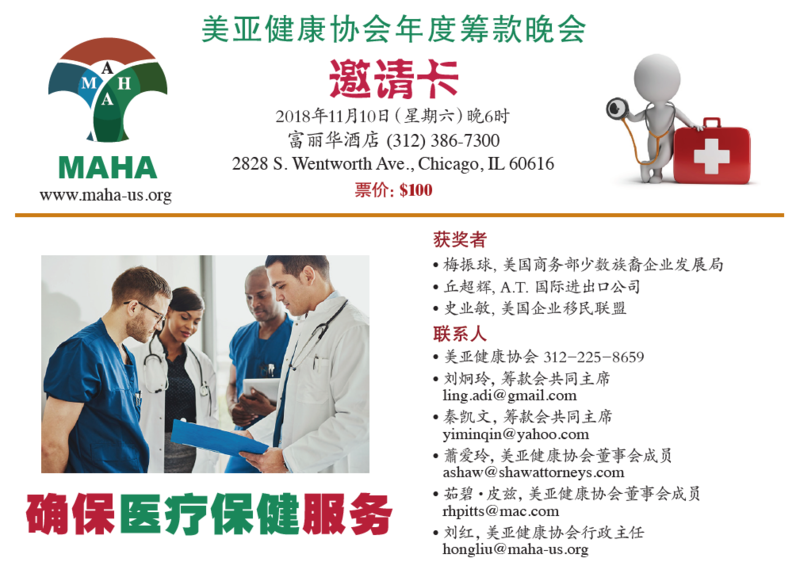 MAHA’s mission is to reduce health disparities for the medically and underserved low-income populations in the Midwest through developing and providing culturally sensitive and linguistically appropriate services, including community outreach education, screening and immunization, linkage to care, capacity building, data collection, research, and policy advocacy. We would be honored if you can come to participate in our event as our VIP guest. Your presence will surely promote the success of our event, and I want to thank you in advance for your support. 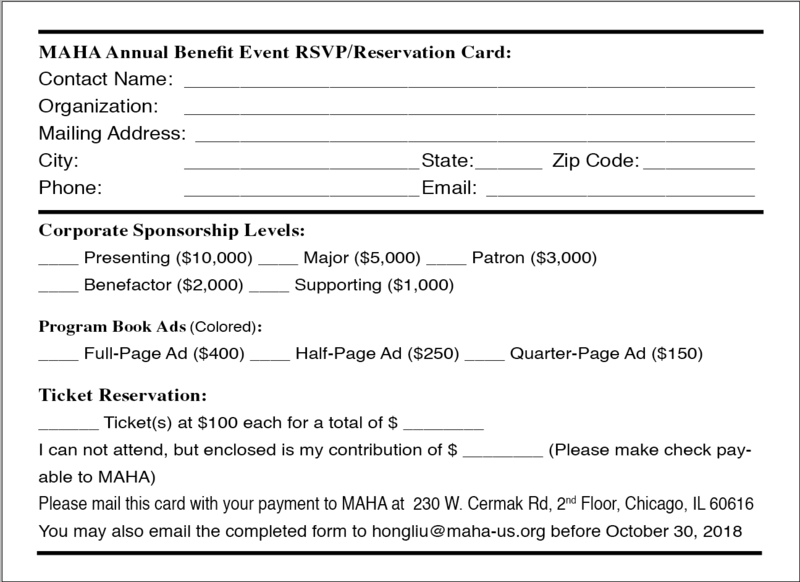 If you have any questions, please feel free to contact me at 847-217-1688 or email to ling.adi@gmail.com. Thank you very much for your support.